This magnificent heart shaped Australian Opal is crafted into a beautiful charm. 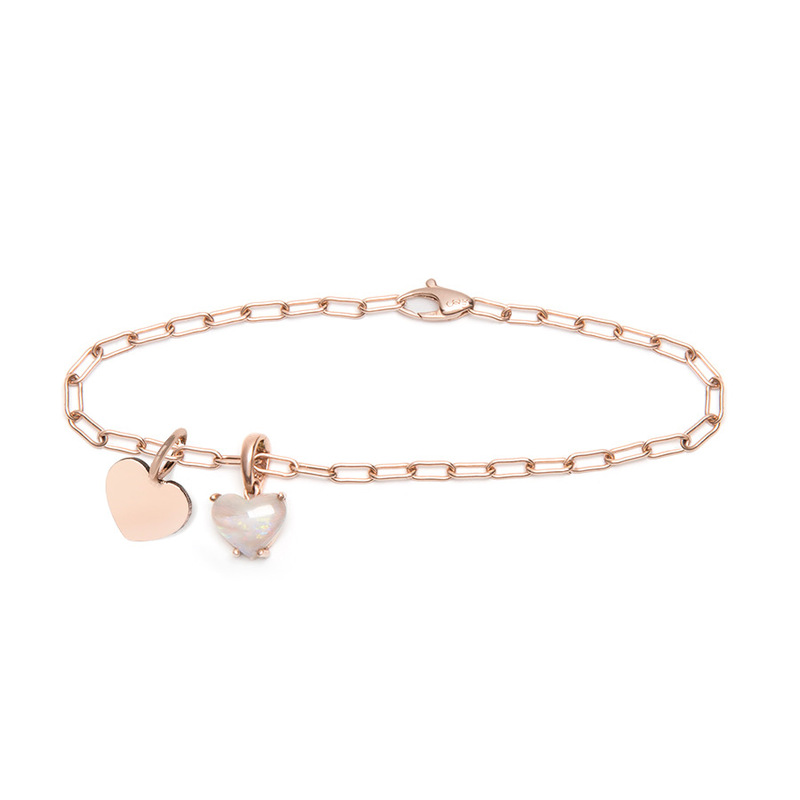 Featured here on our Rose Gold Links Charm Bracelet. May also be paired with a Links Chain for a customized necklace. Set in 14k or 18k gold. Small is 5-7mm. 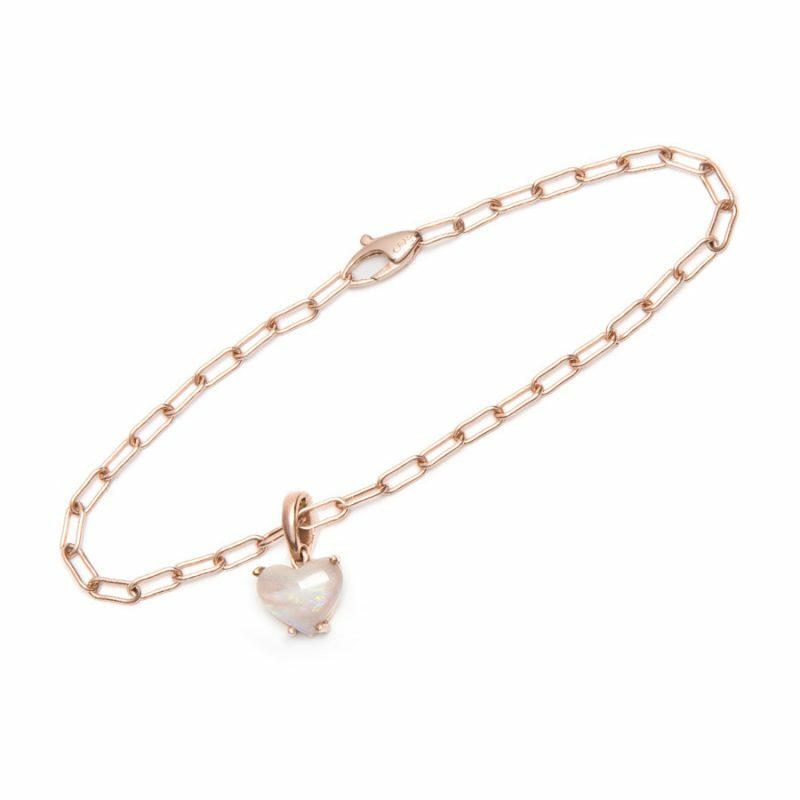 Tags: #charmbracelet, #gold, #heart, #pinkgold, #rosegold, heartcharm, opal, opalheart, opals, pink. Chain Length Choose an option… None7"